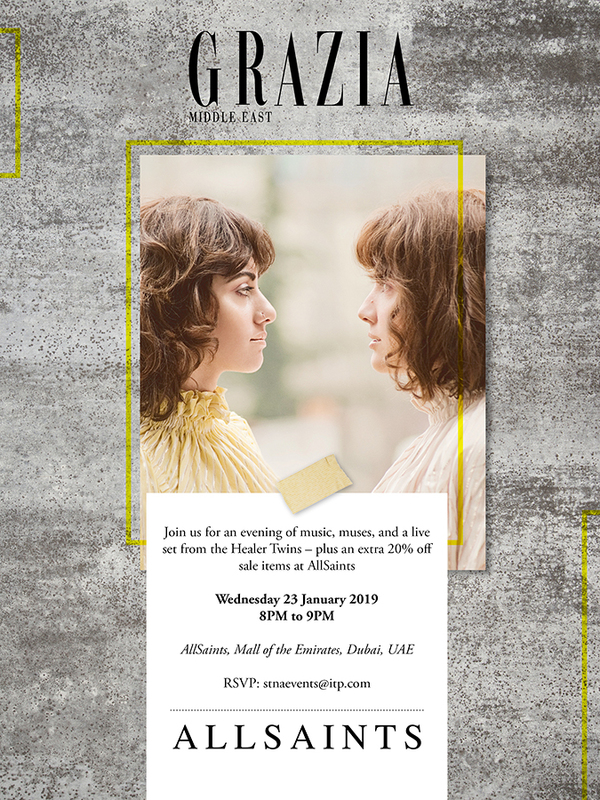 As part of Shop The Night Away – a month-long sales shopping celebration across the malls in Dubai in partnership with Dubai Tourism – on 23rd January Grazia Middle East hosted an evening of music, melody, muses and fashion must-haves with AllSaints at Mall of the Emirates. 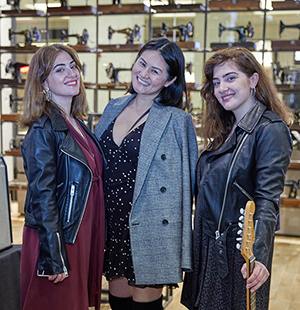 Dubai-based duo Healer Twins – dressed in AllSaints – performed a live acoustic set of original songs, shared their inspirations with Editor-in-Chief Alison Tay. Grazia readers also enjoyed a further 20% off sale items. 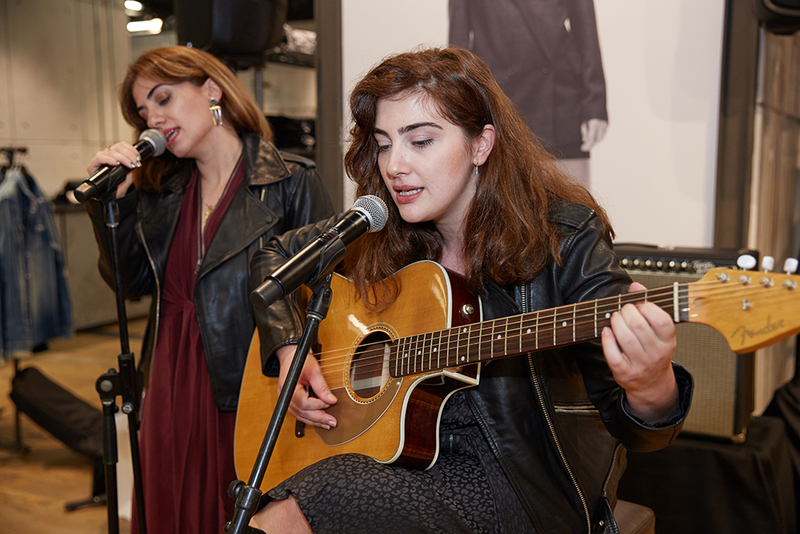 Fashion and music, a perfect mix for a wonderful evening!